On October 18, Brooklyn’s Bargemusic presents a full evening of Rorem works, featuring clarinetist Thomas Piercy, violinist Harumi Rhodes, and pianist Judith Olson. The concert will include performances of Four Colors for clarinet and piano, Picnic on the Marne for clarinet and piano, Remembering Tomorrow for piano solo, and End of Summer for clarinet, violin, and piano. In addition to these works, a portion of the program entitled "90 Notes for Ned" will feature the world premieres of several short works by William Coble, Daron Hagen, Jennifer Higdon, Eli Marshall, Russell Platt, Paul Anthony Romero, and Troy Peters, written for the occasion of Rorem’s 90th birthday. Clarinetist Thomas Piercy will present another all-Rorem concert at New York’s SPECTRUM on October 26. 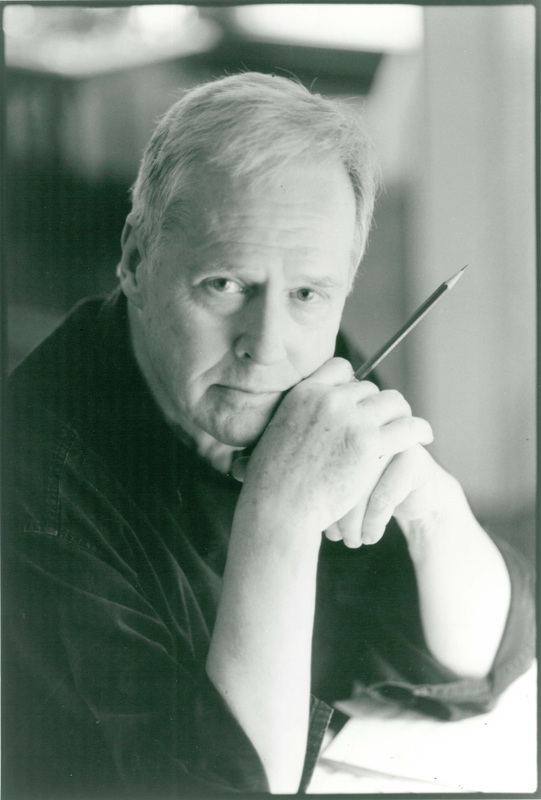 Ned Rorem is one of America's most honored composers. In addition to a Pulitzer Prize, awarded in 1976 for his suite Air Music, Rorem has been the recipient of a Fulbright Fellowship (1951), a Guggenheim Fellowship (1957), and an award from the National Institute of Arts and Letters (1968). He is a three-time winner of the ASCAP-Deems Taylor Award; in 1998 he was chosen Composer of the Year by Musical America. The Atlanta Symphony recording of the String Symphony, Sunday Morning, and Eagles received a Grammy Award for Outstanding Orchestral Recording in 1989. From 2000 to 2003 he served as President of the American Academy of Arts and Letters. In 2003 he received ASCAP's Lifetime Achievement Award, and in January 2004 the French government named him Chevalier of the Order of Arts and Letters. Among his many commissions for new works are those from the Ford Foundation (for Poems of Love and the Rain, 1962), the Lincoln Center Foundation (for Sun, 1965); the Koussevitzky Foundation (for Letters from Paris, 1966); the Atlanta Symphony (String Symphony, 1985); the Chicago Symphony (Goodbye My Fancy, 1990); Carnegie Hall (Spring Music, 1991), and the New York Philharmonic (Concerto for English Horn and Orchestra, 1993). Among the distinguished conductors who have performed his music are Bernstein, Masur, Mehta, Mitropoulos, Ormandy, Previn, Reiner, Slatkin, Steinberg, and Stokowski. Rorem is justly renowned for his art songs; his catalog includes more than 500 works in the medium. Evidence of Things Not Seen, his evening-length song cycle for four singers and piano, represents his magnum opus in the genre. New York magazine called Evidence of Things Not Seen "one of the musically richest, most exquisitely fashioned, most voice-friendly collections of songs I have ever heard by any American composer;" Chamber Music magazine deemed it "a masterpiece." Rorem's most recent opera, Our Town, which he completed with librettist Sandy McClatchy, is a setting of the acclaimed Thorton Wilder play of the same name. It premiered at the Indiana University Jacob's School of Music in February 2007 and has enjoyed subsequent performances throughout the world. October 23, 2003 marked the composer's 80th birthday, highlighting a season of international festivities. Chief among them was the Curtis Institute of Music's "Roremania," a two-week celebration encompassing works in every genre, and a concert celebration at Carnegie Hall's Weill Recital Hall featuring the world premier of "Four Colors" composed for clarinetist Thomas Piercy and pianist Judith Olson. The birthday season brought a trio of new concertos from Rorem: Cello Concerto, commissioned by the Residentie Orchestra and the Kansas City Orchestra for David Geringas; Flute Concerto, commissioned by the Philadelphia Orchestra for its principal flutist Jeffrey Khaner; and Mallet Concerto, commissioned for Evelyn Glennie by the Madison Symphony Orchestra and the Eos Orchestra. His most recent publication, Facing the Night: A Diary (1999-2005) and Musical Writings, chronicles Rorem's dark journey after the death of 32 year companion, Jim Holmes. In his diary, Lies, (published by Counterpoint Press in 2000) Roremsaid: "My music is a diary no less compromising than my prose. A diary nevertheless differs from a musical composition in that it depicts the moment, the writer's present mood which, were it inscribed an hour later, could emerge quite otherwise. I don't believe that composers notate their moods, they don't tell the music where to go - it leads them....Why do I write music? Because I want to hear it - it's simple as that. Others may have more talent, more sense of duty. But I compose just from necessity, and no one else is making what I need." A frequent performer of new music, Mr. Piercy has premiered numerous compositions, including over 50 new pieces n the last three years. Mr. Rorem, a Pulitzer Prize winner and Grammy Award-winning composer, wrote his only clarinet and piano piece, "Four Colors," for Mr. Piercy. The work had its premier at an 80th birthday concert celebration for Mr. Rorem at Carnegie Hall in the fall of 2003. Acclaimed by the New York Times as a “deeply expressive violinist,” Harumi Rhodes has gained broad recognition as a multifaceted musician with a distinctive and sincere musical voice. Her generosity of spirit on stage is contagious, making her one of the most sought after violinists and chamber musicians of her generation. As a founding member of the Naumburg Award–winning ensemble, Trio Cavatina, Ms. Rhodes has performed at the Philadelphia Chamber Music Society, Isabella Stewart Gardner Museum in Boston, Pittsburgh Chamber Music Society, Wolf Trap (Wash D.C), and San Francisco Performances, as well as its debut at Carnegie Hall’s Weill Recital Hall in 2009. Continuing to build it’s reputation as one of today’s leading piano trios, Trio Cavatina has been touring internationally over the last few seasons with recent notable performances in Pablo Casals Symphony Hall in San Juan, Puerto Rico and Filharmonija Hall in Vilnius, Lithuania. As a chamber musician, Ms. Rhodes has been a participant at the Marlboro Music Festival and has performed on several Musicians From Marlboro tours as well as at the festivals of Seattle Chamber Music, Bard, Caramoor, Bridgehampton, Music in the Vineyards, Mainly Mozart, and the Saito Kinen Festival in Japan. After completing her residency with Lincoln Center’s Chamber Music Society Two, Ms. Rhodes was appointed as an Artist Member of the Boston Chamber Music Society in 2009 where she performs regularly at Sanders Theater at Harvard University and Kresge Hall at MIT. An avid supporter of contemporary music, Ms. Rhodes is a frequent guest artist with Music from Copland House, and has recorded Milton Babbitt’s Sixth String Quartet on John Zorn’s Tzadik label. Deeply committed to the process of commissioning and premiering new music, Ms. Rhodes has collaborated with many composers including Richard Danielpour, Leon Kirchner, Benjamin Lees, Paul Moravec, William Bolcom, Gabriela Lena Frank, David Ludwig, and Lisa Bielawa. Recent solo engagements have included performances of Bernstein’s Serenade, Beethoven’s Violin Concerto, Mozart’s Violin Concerto No. 3 and No. 5, Beethoven Romances, and Vivaldi’s “Four Seasons” with the Vermont Mozart Festival Orchestra and the New York Chamber Soloists Orchestra. Ms. Rhodes is also a member of the East Coast Chamber Orchestra (ECCO), a conductor-less chamber orchestra made up of world-class chamber musicians and soloists. A graduate of The Juilliard School and the New England Conservatory, her principal teachers have been Shirley Givens, Earl Carlyss, Ronald Copes and Donald Weilerstein. Ms. Rhodes is currently Assistant Violin Faculty at The Juilliard School, and has most recently been appointed Assistant Professor of Violin and String Area/Chamber Music Coordinator the Setnor School of Music, Syracuse University. Pianist Judith Olson, a graduate of The Juilliard School, made her New York debut with Alexander Schneider conducting , and has since toured North, Central and South America, Europe, the Middle East and Korea as soloist and in collaboration with leading instrumentalists, including Kyung Wha Chung, Eugene Fodor, Miriam Fried, Joseph Fuchs, Jean-Jacques Kantorow,, Rolf Schulte and Tossy Spivakovsky. Pianist Judith Olson began her musical career as a violinist. During her high school years in California, she won numerous prizes and competitions and served as concertmaster of the All Southern California High School Symphony. She was awarded a full scholarship in violin by the Music Academy of the West in Santa Barbara. She began her college studies at the University of Redlands in California, where she was a violin major and a member of the University of Redlands String Quartet. At the age of seventeen, she began piano studies at Redlands and discovered that she had a remarkable facility for the keyboard. After seven months of study, she appeared in concert as first prize winner of the Redlands Bowl Young Artists Competition and was engaged as soloist with the Riverside Symphony. After two years at Redlands, Ms. Olson auditioned for The Juilliard School as a pianist (but brought the violin along, just in case). She was accepted and subsequently received Bachelor's and Master's degrees as a scholarship pupil of Beveridge Webster. After graduation, she worked extensively with Nadia Reisenberg. Ms. Olson has appeared at major halls including Avery Fisher Hall, Alice Tully Hall, and The John F. Kennedy Center for the Performing Arts, and has participated in the festivals of Ankara, Bard, Bar Harbor, Capri, Caramoor, Chautauqua, Killington and Newport. This versatile artist has performed Beethoven at Bard, Rachmaninoff at Newport, and as an advocate for new music, she was a Special Award winner in the 1981 International American Music Competition sponsored by Carnegie Hall and The Rockefeller Foundation and was featured in a nationally televised documentary for Bravo, "Playing to Win." She has premiered works written for her, including Otto Luening's last work for piano, "Fantasia Etudes" (1994) and has appeared as soloist for new music series. At the Bloomingdale School of Music, where she is on the piano faculty, she has presented a series of Composer Portrait recitals. Featured composers include Lee Hoiby, Benjamin Lees, William Mayer, Ned Rorem and Olav Anton Thommessen. Ms. Olson has recorded for Albany, Capstone, Newport Classics, MMO Laureate Series and RCA, and is currently recording the solo piano music of jazz composer Ed Bland.